Česká verze ke zhlednutí zde. If you get to the town district „Bory“, ask for „Růžovka“. Any local will direct you to our school since it owes its nickname „Růžovka“ to its pink exterior. And we don´t mind. On the contrary, we welcome it. Only a couple of metres from the shopping centre Luna and trolley-bus stop 16, twice the distance from Borský park, bus stop 30, 32, 21, 26 and the terminal station for tram 4. „Růžovka“ welcomed its first pupils and teachers on 1st September 1970. 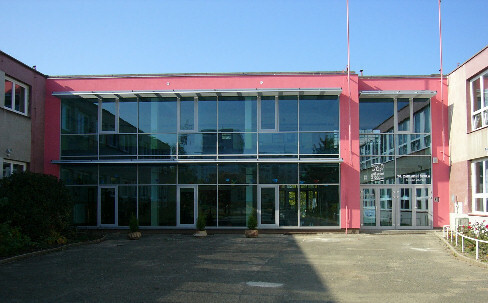 Its building was used by the 1st phase, after-school care, 4 SEŠ classes and 4 SZŠ classes. The 2nd phase came into existence the following year. On 30th June 1998 the Primary School in Litice joined us as a detached workplace. On 1st September 2005 our school celebrated its 35th birthday. There is after-school care in our school, whose work and hobby groups you can read about on our webpages. We have had 440 pupils in the school year 2008/2009, 260 in the 1st phase and 180 in the 2nd phase. We employ 27 teachers, 6 schoolmistresses and another 8 housekeeping employees. Our school has a newly-recontructed gym and in the autumn 2008 we also added a multi-functional pitch. Besides this, you can also find some special classrooms here, e.g. a modelling workroom, technical workrooms, kitchen and after-school care. Pupils have the opportunity to use and spend their breaks on a small pitch behind our school building or in a big school garden, equipped with new climbing frames. There is also a wide range of hobby groups in our school which the children can join, as well as attend an English language course. 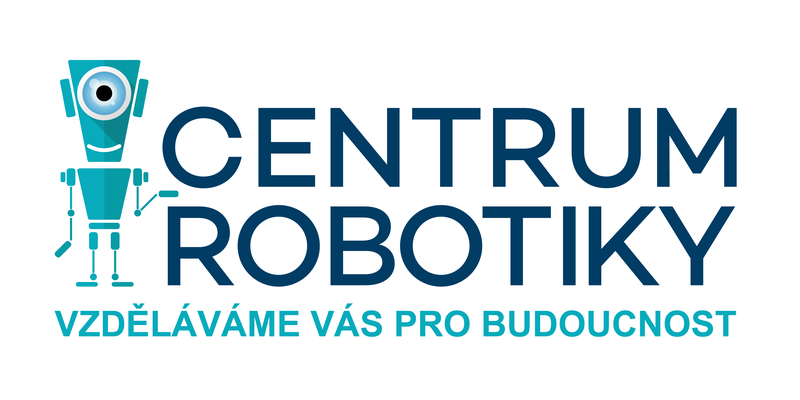 Since 1st October 2005 our school has been organizing free courses for pupils from the EU – preparation for education in the Czech language. In the year 2005 we entered the project „Creative School“ – education through action, hence our school education program is largely based on it. 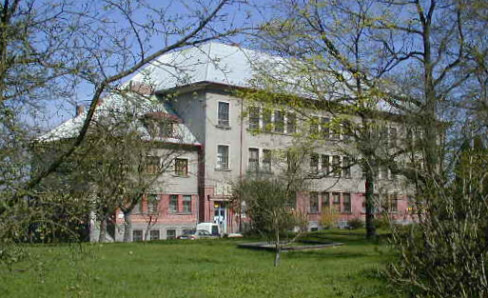 The primary school in Litice was established in 1928 and at that time was attended by pupils from Litice and other adjacent villages, such as Radobyčice, Šlovice, Lhota and Valcha. 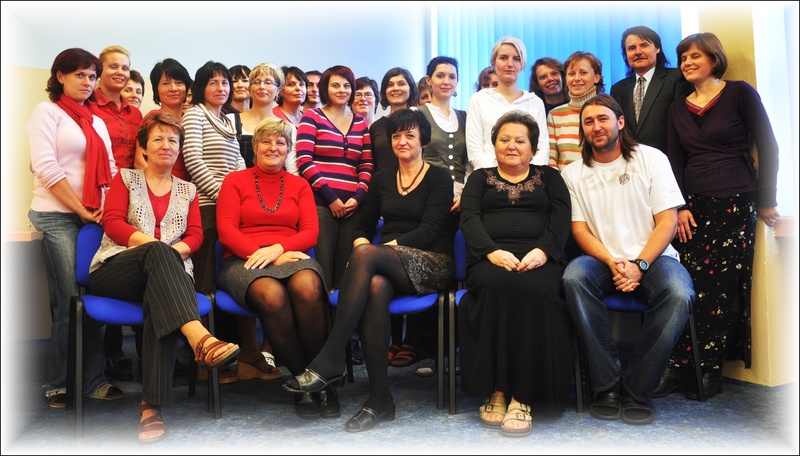 Originally it had up to 300 pupils from the 1st – 9th class, however, in the year 1998 it had to be joined as an integrated workplace for 1st – 5th class to the 26th Primary School in Plzeň because of the low number of pupils. Today there are 49 pupils not only from Litice and other neighbouring villages, but also some who have had problems with adapting in larger groups or pupils who prefer the family-like environment of this school. At this moment there are 3 teachers: Mgr. Šárka Jandová teaches in the 1st class - 26 pupils, Mgr. Monika Koryťáková in the 2nd class - 9 pupils and finally, Mgr. Miroslava Hanzová in the 3rd class - 14 pupils. In the after-school care there are 2 schoolmistresses looking after the children, Ms. Petra Bernadová and Jiřina Švajcrová, together with 1 housekeeping employee. The building has roomy classrooms, including some special classrooms (a music room, language classroom, PC classroom, gym) and a library. On the ground floor there is a school canteen run by the 11th School Canteen. The school also allows different sports clubs to rent the gym for special ocassions and events.